Obeying the law and driving the speed limit is almost dangerous in Miami. When driving on I-95, the Florida Turnpike, or the Palmetto Expressway, cars may fly past traveling ten, fifteen, or even twenty miles over the posted limits. While most speeding drivers worry only about getting a traffic ticket, the real danger posed by excessive speed comes in the form of car accidents. According to the National Highway Traffic Safety Administration, speeding has contributed to over a third of all car accidents in the country over the past two decades. Despite the dangers, many drivers are in no hurry to slow down. At Gerson & Schwartz, our Miami car accident lawyers have seen hundreds of crashes caused by speeding and can help you get justice after an injury caused by a negligent driver. Speed on the roads is deadly. The faster a vehicle is moving, the less control a driver has over it. When a car is traveling very fast, the vehicle takes more time and distance to stop. This means that when that vehicle crashes, the impact of the crash is greater and the occupants of the vehicle are subjected to more severe injuries. This is compounded by the fact that many safety devices like seat belts and airbags were not designed to be used at very high rates of speed, and may not be as effective as they would have been if the vehicle was traveling the speed limit. While the dangers of speeding are well known, drivers are still not slowing down. In 2015, nearly 10,000 people around the country were killed in accidents that were directly related to speeding. In certain age groups, these dangers are more pronounced. For instance, the NHTSA reports that in that same year, nearly 32% of all male drivers between the ages of 15 and 24 were involved in an accident related to speeding. Speeding also increases the danger of other reckless driving maneuvers. Speeding drivers who tailgate or follow other cars too closely may not be able to stop in time if the cars in front of them slow down. Alternatively, distracted drivers who are speeding may not be able to avoid obstacles in the road or vehicles parked alongside the road. Speeding may also be a symptom of other dangerous driving habits—the NHTSA also noted that 45% of drivers in speed-related accidents had been drinking. A person is legally considered negligent when he or she has a duty of care to someone else and breaches that duty in a way that causes an injury. In Florida, all drivers have a duty of care to other motorists, cyclists, and pedestrians using the road. This duty means that a driver has a responsibility to act in a way that a reasonable person would under the same conditions. Not everyone who speeds is acting negligently, though they may technically be breaking the law. For example, a person who drives five miles over the speed limit without incident would probably not be committing negligence. In contrast, someone driving five miles under the speed limit during a heavy downpour might be acting negligently if they are driving too fast for conditions and cause an accident. While the circumstances of every accident will determine whether a driver acted negligently, speeding is a good sign that the driver may have been reckless or careless. When an accident is caused or made worse by one or more drivers’ speed, it is likely that that driver will be legally responsible for any injuries that occur. 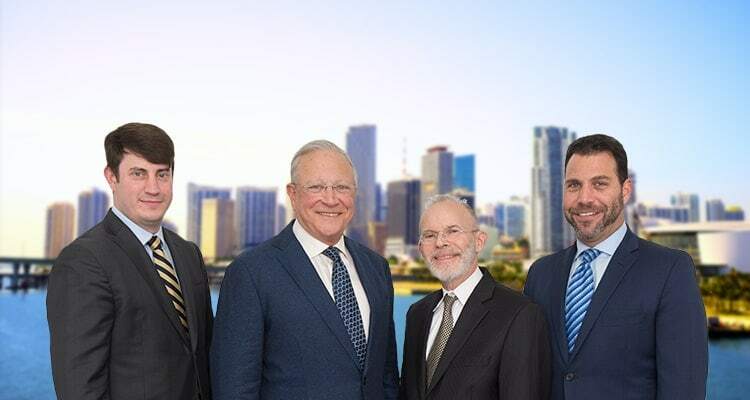 At Gerson & Schwartz, our Miami car accident lawyers have seen the damage that accidents caused by speeding can do to injured people and their families. If you were injured by someone else negligence, we want to help you get justice. Our car crash attorneys can help you seek damages for expenses like lost wages, pain and suffering, and medical bills. To schedule a free consultation, contact our office today by calling (877) 475-2905.